Nov. 13 means people can start ordering brand new devices such as the Google Nexus 4 and the Nexus 10 from the Google Play store. Some of the first able to do that, owing to their different timezone, are Australian Android fans and their response to the Google Nexus 4 has been nothing short of outstanding. According to AusDroid, the Google Nexus 4 has been met with an overwhelming demand and have already sold out. 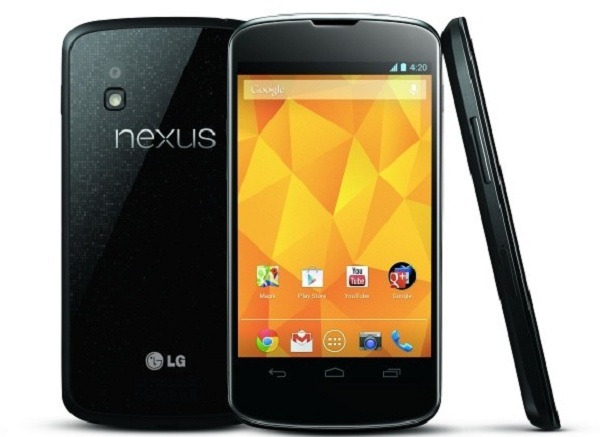 The site reported at 12:46 PM AEST that the 16 GB version of the Google Nexus 4 sold out after just 22 minutes of going live. The smartphone costs $399, not inclusive of the $19.99 delivery fee and will be available within 3-5 business days from the date of your order. The 8 GB version of the smartphone and 32 GB variant of the Google Nexus 10 tablet followed suit and sold a few hours after based on updates from 2:19 PM and 5:10 PM AEST respectively. People interested in the Google Nexus 10 tablets will be happy to know that the 16 GB version of the device is still available, so be sure to pick them up while they’re still out there if you can’t wait for the Google Play store to restock the bigger 32 GB model. However, there is still no sign of the 32 GB Google Nexus 7 or the Nexus 4 wireless charging orb that was showcased on the video hosted by The Verge when the new Nexus devices launched. Any Australian Tapscape readers out there? Where you able to snap up a Google Nexus 4 before it sold out? Tell us about it in the comments below!